Cambodia will buy 200 megawatts from Laos to feed rising demand for power in the Kingdom. Electricite du Cambodge has signed an agreement to purchase 200 MW from Laos from 2019 to 2021. The tariff at which the power will be sold has not been revealed. With power consumption on the rise, Cambodia needs to increase energy imports, said Ty Norin, secretary of state at Ministry of Mines and Energy. “The transmission lines to bring energy from Laos are being built as we speak,” Mr Norin said during a press conference on Friday. The energy purchased by Cambodia will be produced at Laos’ Dan Sahong hydropower dam, located near the border, Mr Norin added. 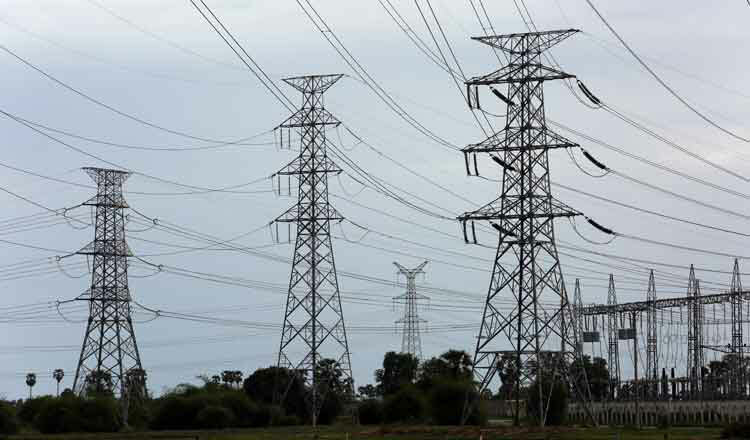 Earlier this month, the Royal Group of Cambodia and partners China Southern Power Grid and China Huaneng Group said they will continue work on a project to build high voltage transmission lines in the Kingdom. The project will contribute to the transmission network in the country’s northeast and enable energy exchanges with Vietnam and Laos. “The project focuses on building transmission lines in the northeast that enable the country to bring in electricity from neighbouring countries when we have a shortage, or to export it when we have a surplus,” Victor Jona, director general of the energy department, told Khmer Times. A recent report from the Ministry of Mines and Energy shows that the country’s electricity supply will rise by 16.12 percent in 2019, reaching 2,870 MW. 2,428 MW will be generated from local sources, while the rest will be imported from Thailand, Vietnam, and Laos.